Make-A-Wish Wisconsin is hosting Strikes For Charity, a bowling blast at the Super Bowl in Appleton, Wis. (2222 E Northland Ave.) on Feb. 9. Presented by Romenesko Developments, Strikes For Charity provides a family-fun way to raise funds for local kids with critical illnesses through Make-A-Wish, helping kids to live their dreams. The 3rd Annual Strikes For Charity so far has 67 percent of their goal to raise $50,000 for Make-A-Wish Wisconsin! Join the action today! You can register online to sign up yourself or your team, and you can learn more about the awesome sponsorship opportunities, the raffle and silent auction! Since 2015, Strikes For Charity has supported charities throughout the community with $60,000 in donations. In 2017, Strikes For Charity turns its attention to Make-A-Wish Wisconsin. This chapter of Make-A-Wish has been thriving due to the generosity of Wisconsin community members like you. Last year alone, they granted 378 wishes, which was a record-breaking year. There are still Wisconsin children with critical illnesses who have dreams waiting to come true, and you can help! 95 percent of wish parents confirm that a dream come true for these kids helps them cope with difficult treatments and feel stronger. Important work is happening in Wisconsin, and there are so many ways to help in the mission—some are easier than others! 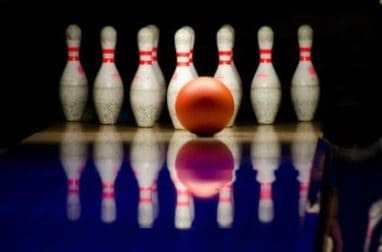 If bowling isn’t the way in which you pictured benefiting local kids, we have good news for you. The easiest way to make a huge impact benefiting Make-A-Wish Wisconsin is by donating a vehicle that you no longer need to Wheels For Wishes. Wheels For Wishes is a nonprofit 501(c) car donation organization that offers you a hassle free donation by providing free pick up and a 100 percent tax deductible receipt! You may have an unwanted vehicle in your driveway or garage. Selling it can be a pain, and we take away the hassle. With your tax deduction, it really pays to donate! Donate today by calling 1-877-431-9474 or fill out an online donation form. Whether you bowl for wishes, donate a car to make dreams come true or both, you are making an impact in your community!